In his lifetime, Isambard Kingdom Brunel towered over his profession. Today, he remains the most famous engineer in history, the epitome of the volcanic creative forces which brought about the Industrial Revolution - and brought modern society into being. Brunel's extraordinary talents were drawn out by some remarkable opportunities - above all his appointment as engineer to the new Great Western Railway at the age of 26 - but it was his nature to take nothing for granted, and to look at every project, whether it was the longest railway yet planned, or the largest ship ever imagined, from first principles. A hard taskmaster to those who served him, he ultimately sacrificed his own life to his work in his tragically early death at the age of 53. His legacy, though, is all around us, in the railways and bridges that he personally designed, and in his wider influence. 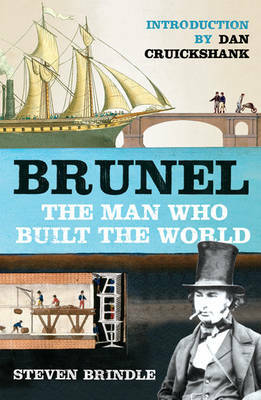 This fascinating new book draws on Brunel's own diaries, letters and sketchbooks to understand his life, times, and work.